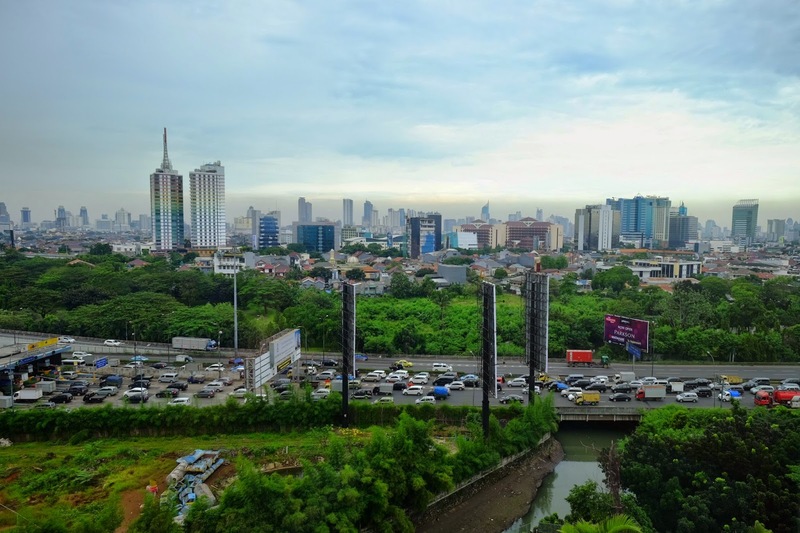 Indonesia’s geography, demographics, and economy make it a prime target for Mobile Financial Services (MFS)—if MFS ought to work anywhere, it ought to work here. Yet, MFS has failed to gain traction among Indonesian consumers. The first MFS product entered the market in November 2007—the same year as M-PESA’s launch in Kenya—yet less than 1% of Indonesian adults have registered e-wallets. We spent several months in Indonesia trying to discover what it will take to persuade underbanked consumers to adopt MFS. We grounded our approach in an in-depth analysis of consumers’ perceptions of the strengths and weaknesses of the formal and informal financial services available in their communities. While industry analysts have correctly cited regulation as a major constraint, we found that MFS’ failure to launch is more than a story of regulatory barriers. MFS offerings are unattractive to the underbanked because these products fail to address unmet needs or add value above and beyond the mostly informal services they already use. MFS products have been limited to airtime top-ups, bill pay, peer-to-peer transfers, and payments, but Indonesians have little trouble acquiring these services. Airtime top-ups and bill pay: Airtime top-ups are as easy as walking a few meters to the nearest airtime vendor, who is often a friend and will send airtime on credit with a simple text. While mobile bill-pay makes life a little easier, the poor can easily pay their few bills at the local post or electricity office. Transfers: Providers have pushed P2P transfers as the gateway to MFS adoption in Indonesia. However, strict regulation on how customers register for MFS accounts and on the types of agents that can cash-out has rendered these services useless to most customers and retailers. Payments: Low-income Indonesians rarely shop at licensed businesses such as modern mini-markets (e.g. Indomaret, Circle K), which comprise the vast majority of brick-and-mortar retail outlets that in theory accept mobile payments. We conducted a retail audit and observed that most outlets equipped for mobile payments were unable to process in-store payments. Clerks lacked the know-how, and high rates of staff attrition made training obsolete within months. Providers have developed technological solutions to the wrong problems because they view their competitors as formal providers of financial services like commercial banks, Western Union, post offices, and utility outlets. We took a different approach to defining the competition. Instead of presuming that MFS’ value proposition in Indonesia is similar to that which has worked in other markets, we assessed how MFS could address needs in the Indonesian market. MFS must compete with informal financial services (with names such as trust bank and daily bank) that are already socialized, trusted, and tailored to the poor’s expectations and needs. However, these existing services come with many burdensome tradeoffs. And these trade-offs present an opportunity for well designed, competitively priced, and widely distributed MFS products. Ibu Dewi, a middle-aged woman in Slipi, runs a bank harian (daily bank) with over 500 customers spread across several communities in west Jakarta. A bank harian is a savings service in which subscribers obligate themselves to a year’s worth of daily savings deposits. We documented these daily banks in communities across Java, they are one of the many informal tools developed to meet the savings gap in the formal market. To participate, customers deposit the same amount of money every day for a year with Ibu Dewi’s roving money collector. Ibu Dewi then deposits all harian deposits in her own account with Bank Mandiri (Indonesia’s largest commercial bank). Customers can choose the amount of their daily deposit at the beginning of each yearly cycle, usually within the range of 500-20,000 IDR (0.40-1.70 USD); once they set their rate, they cannot change it until the savings term is up. Consumers can only make one penalty-free withdrawal of their savings immediately before Ramadan. Not unlike Christmas clubs in the US and the UK, this service functions as a holiday savings plan. It helps families cope with the increased costs during the Muslim holy month when household expenditures typically double. Some savings plans also payout in the form of a siraya lebaran -- a parcel of household goods that roughly corresponds in value to the amount of money a customer saved over the year. The siraya lebaran reflects this service’s proposition of locking in savings for household consumption. Ibu Dewi’s valuable service enables low-income consumers to make small daily deposits that correspond to expected daily cash flows. There are no account startup or maintenance fees, and the service is very convenient -- money collectors come to customers’ home. Homes are the primary place of business for many of Indonesia’s 95 million micro-entrepreneurs. While bank harian’s rigid deposit and withdrawal terms help consumers save more diligently, it imposes heavy costs on consumers. Ibu Dewi earns interest on her customer savings deposited in her Bank Mandiri account, none of which she pays out to savers. Furthermore, consumer’s savings cannot be collateralized for credit. Finally, Ibu Dewi charges her customers a 1-5% withdrawal fee, and heavily penalizes customers who withdrawal early. Consequently, many consumers also try to save cash at home, in an arisan (ROSCA), or in the form of productive asset. However, money saved at home is too liquid and many have a hard time controlling spending while achieving savings goals. Yet money saved in an arisan or in productive assets is too illiquid, and is not readily available when needed most, much like with a bank harian. These accounts force discipline, but can burden households with rigid deposit requirements and stiff penalties for early withdrawals—liquidizing assets during emergencies is costly, time-consuming, and slow. All such savings are vulnerable to theft, damage, and uninsured loss. Clearly, with 80% of the market underbanked and reliant on informal tools (with their many associated pain points), there is a market gap for savings services that help Indonesians achieve their financial goals. 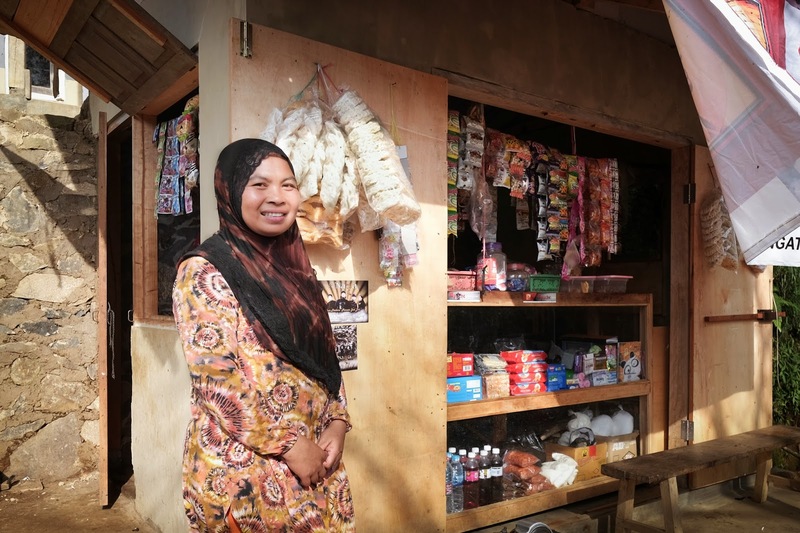 Last summer, while conducting research for our report “Mobilizing Banking for Indonesia’s Poor”, we prototyped a number of MFS products with consumers, including P2P, bill pay, in-store purchases, and micro-credit. Our goal was to determine which service could be the gateway to greater adoption. We found that despite understanding the mechanism of the prototypes, consumers by and large could not see how these standalone services could be useful in their day-to-day lives. After completing our fieldwork and analyzing the data, we realized that a mobile end-of-the-day savings tool might just be the key to unlocking value for the consumer. We recently returned to Indonesia and conducted a design lab where regulators, service providers, and fintech companies used insights from our research to develop mobile savings concepts. The lab helped us refine a mobile savings concept that enables consumers to set specific savings goals by separating their savings into different partitions. Consumers can then decide how liquid each partition is, enabling them to more easily reach their specific savings goals. We then traveled back to the field with a low fidelity prototype of this concept and further refined and co-designed the prototype with underbanked Indonesian consumers. This time, the result was very positive. Moreover, consumers easily grasped the concept and value of mobile payments, transfers, and loans in the context of a mobile savings account. They could effortlessly imagine how these services would be linked to an e-wallet, partitioned into accounts that enable customers to both have money on hand to pay for day-to-day expenses, while also featuring a less liquid savings account to help them reach specific goals. We also tested numerous incentive structures to encourage regular savings. Despite our optimism that mobile savings might be the “on-ramp” toward greater adoption of MFS, we realized that consumers do not view financial service functions in isolation. While consumers are keenly aware of the cost of saving, they are even more frustrated with the challenge of managing the many financial services they currently use to intermediate. Underbanked Indonesians will benefit most from a bundle of services that incorporates mobile savings, credit, transfer, payment, and insurance tools to reduce the costs of managing over a dozen (mostly informal) financial services. The Indonesian government recently launched a program to deliver cash subsidies to poor Indonesians through e-money. This program can increase financial inclusion, but only if it leads to the adoption of auxiliary financial services. We believe that a savings tool that allows consumers to save towards specific goals is the most tangible way to socialize the concept and utility of MFS. Much work still needs to be done, but a bundle of services, socialized through savings, and spurred by the G2P program is the most promising path forward. The full version of our report is available here. Michael Mori is a Master's Student and a MasterCard Fellow at The Fletcher School of Law and Diplomacy, Tufts University. Kim Wilson is a Lecturer in International Business and Human Security and a Fellow at the Center for Emerging Market Enterprises and the Feinstein International Center at The Fletcher School of Law and Diplomacy, Tufts University. Trevor Zimmer is a Master's Student and a MasterCard Fellow at The Fletcher School of Law and Diplomacy, Tufts University.